An Obsession and a New Adventure! Last fall when I was facing surgery and knew I would be laying low for about 12 weeks to recover, I decided to purchase a new sewing/embroidery machine. 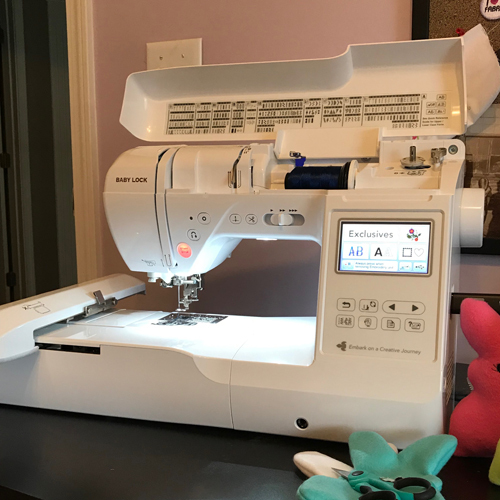 Since I already own two sewing machines I really purchased it more for the embroidery capabilities than anything else……..except for that self-threading needle!!!! Pretty sure I decided to buy it the minute the sales clerk showed me that feature. 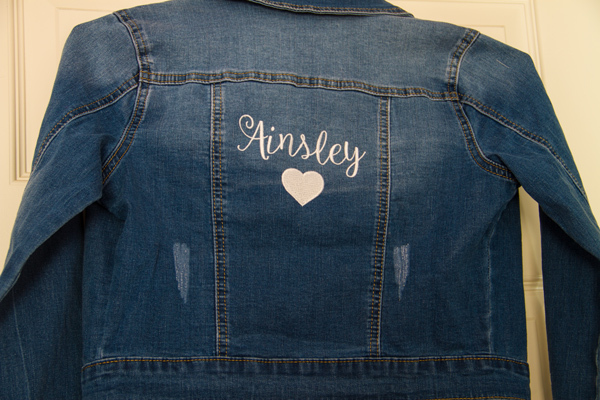 and I even embroidered on a jeans jacket. 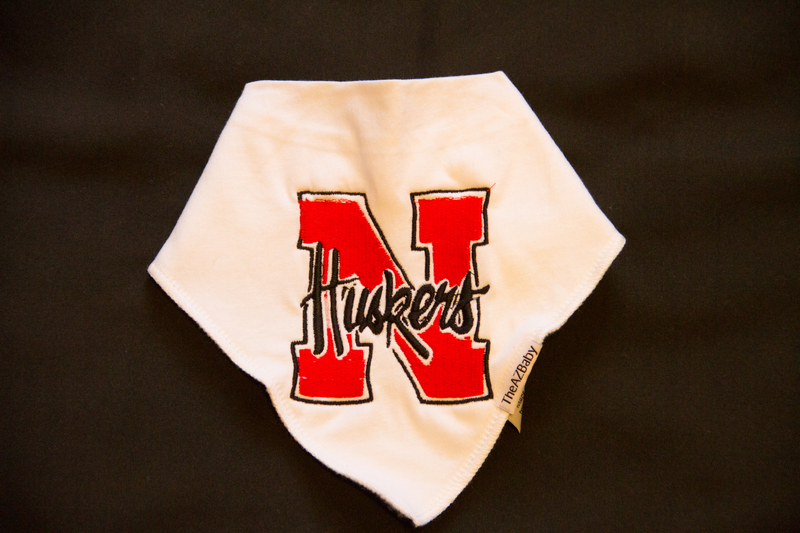 About five years ago when my first grandchild was born, my nephew’s wife embroidered a few cloth diapers to use as a burp cloth and gave them to my daughter as a gift. I have been a little obsessed by them ever since and currently they are my favorite thing to make. 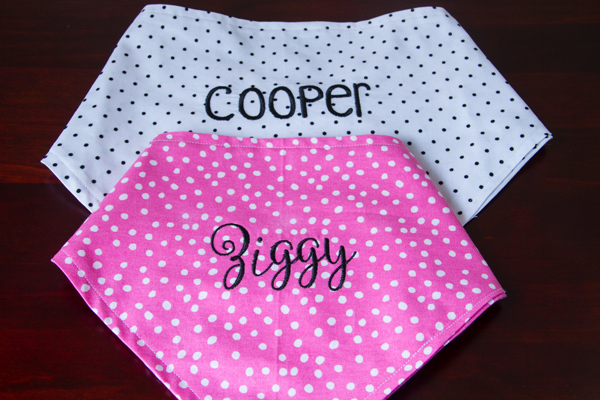 They are definitely a practical baby gift since all new mother’s can use a few extra burp cloths, but they are also adorable, especially with the baby’s name embroidered on them. The design possibilities are endless and can be tailored to the family who is receiving it. Here is the latest set I made for a family friend’s new baby. 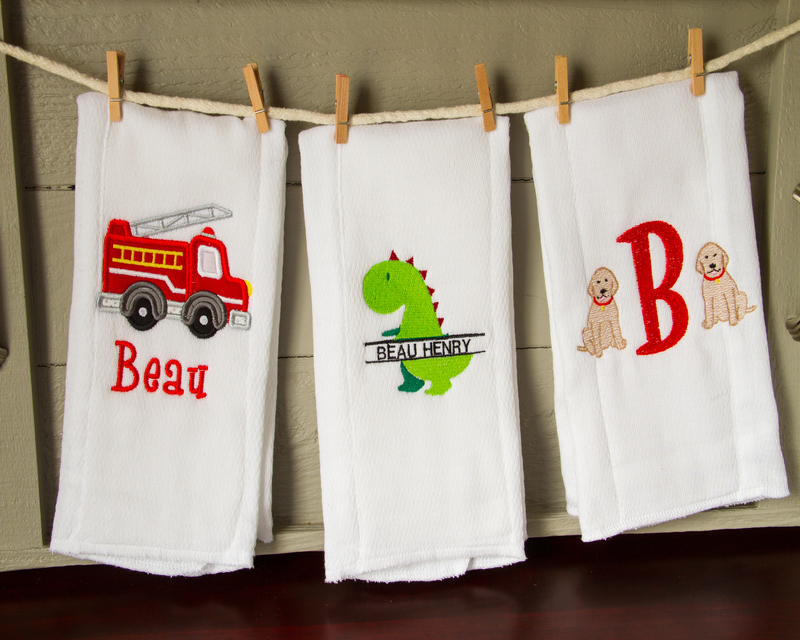 I love these burp cloths so much that I have decided to open an Etsy store and make them available to anyone else who needs a baby shower, welcome home baby gift or just something for your favorite baby!! I have several examples of items in the shop but since they are made to order, I can probably accommodate any design you have in mind. I love trying new designs! 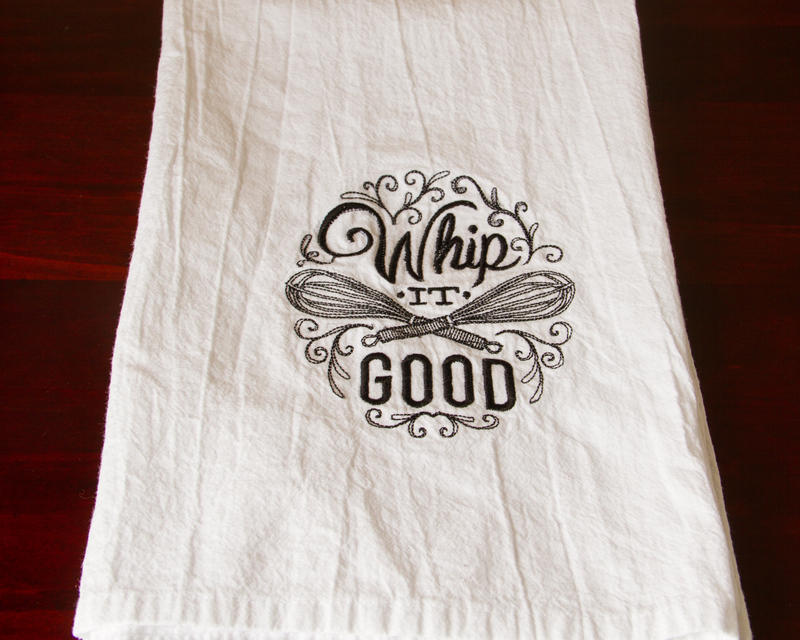 In addition to the burp cloths I have added a few kitchen towels to the shop. I am just getting started so will be adding new items frequently. Please come stop by the shop and if you know anyone who is looking for a unique personalized gift please pass this information along! Here is where you can find me https://www.etsy.com/shop/SweetPieStudio.